"Roccies is the#1 paving contractor in Fairfield County Connecticut and Westchester County New York!" Born in 1924, Rocco Engongoro is the son of Italian immigrants that settled in what was then, the mostly Italian American community of Port Chester, New York. Like so many men of the day, Rocco enlisted in the armed forces at the on set of World War Two. After honorably serving his country Rocco had a desire to work with his hands and, with a love of Mother Earth, he decided on a career in the out door related, landscape type services. 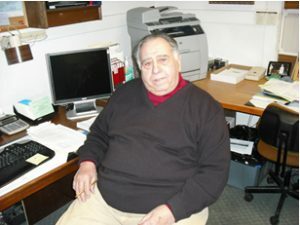 In 1950 he started to work for a local landscape and gardening company based in Darien Connecticut. It was in this employ Rocco honed his skills and leaned the outdoor trades of landscape, property maintenance, masonry, tree work, and gardening. In 1956 Rocco decided to make his own way in life believing this was the best way to provide for his growing family. As it continues to be today, the property maintenance landscaper is the jack of many trades and the “go to” guy for many property improvement needs, and it wasn’t long before a client asked if Rocco could pave a driveway. In the late 1950’s, with a mortgage to pay and mouths to feed, the answer was always yes. This was the start of the companies venture into asphalt paving. Over the years a division of the company was developed to focus specifically on asphalt paving and related products. Rocco, or Roccie as his friends know him, is currently enjoying retirement by spending time with his many grandchildren, great grandchildren, and his friends as well as cooking fabulous meals. His hobbies include wood working and gardening. A long standing member of the Piedmont Club and the Old Timers Athletic Association of Darien Connecticut, Roccie is now in his upper 80’s and is an avid ballroom dancer attending many social functions at local organizational based events. 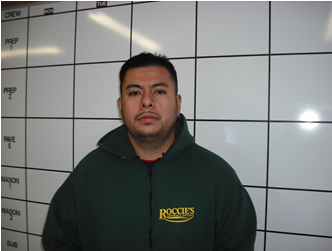 Saul has been with Roccie’s since 2001. Starting as an unskilled laborer, Saul leaned the many crafts needed in this fast paced industry from the bottom up. With a talent to run the job as well as the knowledge to operate the specialized equipment needed to get the work done, Saul displayed a steady hand and even mindedness that resulted in his promotion to Foreman in 2006. Saul’s responsibilities are to ensure the day to day operations of the jobs under his charge are accomplished safely and in the time allotted. Saul is a graduate of several industry leadership and asphalt installation courses provided at the annual National Pavement Expo and Conference. He is also a graduate of the exclusive Blaw Knox Paving School. 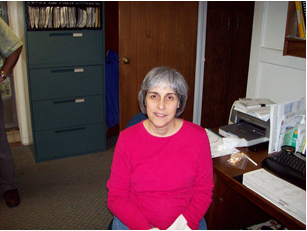 Saul has a pension for race cars and is a sport enthusiast enjoying soccer, basket ball and baseball. A resident of Harrison New York, Saul spends his free time with his wife and son. 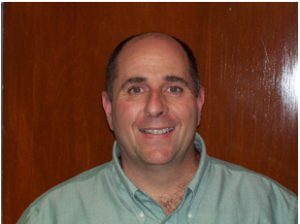 Dan Moran has been with our company since 2006. Staring as an unskilled laborer, Dan showed an immediate desire to do anything and everything in the business. 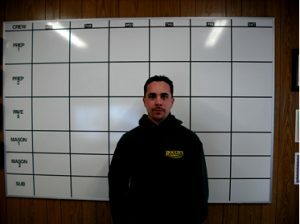 A quick learner, Dan excelled at all aspects of the trade and was quickly promoted to Foreman. Like his counter parts, Dan is responsible for safety and all activity on the job from day to day. Dan has been an attendee of numerous training seminars and conferences provided at the National Pavement Expo and Conference. While Dan is young by most standards, his commitment to the client and the work at hand is that of a well seasoned professional. Dan, or Danny as his friends call him, is an avid outdoorsman enjoying fishing, hunting, hiking, biking, and camping. A Stamford native, Danny spends quiet time with his wife and currently resides in Norwalk, Connecticut.